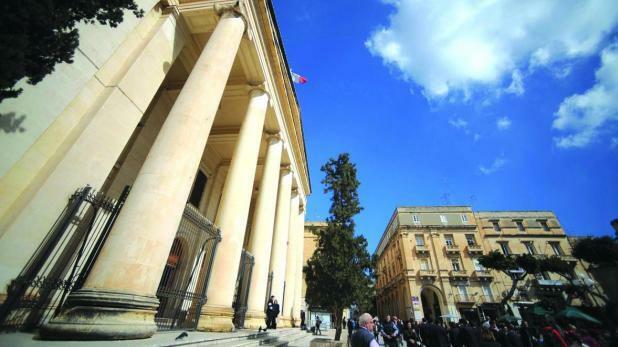 The former deputy project manager at the American University of Malta has filed a judicial protest claiming that his fundamental rights were violated when he was suspended from work because of what he said were unfounded accusations about him. Eduardo Pagani, an Italian, was employed by Sadeen Education Investment Limited on the strength of a six-month contract commencing on August 21, 2016. Last February, this contract was extended until the end of August under the express condition that the employment could not be terminated before the end of its term except as specified and allowed by the Laws of Malta. In the warning notification, Mr Pagani was accused of having approved the payment for a steel mesh reinforcement before the actual laying of the concrete. Mr Pagani argued that he had merely followed internal protocol when he confirmed receipt of an Interim Payment Bill duly drawn up by the architects in charge of the project. A second accusation related to certification of works on a number of pillars in an existing building along the Cospicua waterfront which is intended to house the AUM. In the judicial protest, Mr Pagani argued that the allegations fabricated against him were intended to oust him from his position as deputy manager. Rather than inform him that the post had been made redundant or that someone else was to take his place, his superior was intent on firing him. Mr Pagani pointed out how he had laboured tirelessly, performing his duties with "utmost loyalty", whilst taking pride in contributing towards the realization of the AUM project. He called upon Sadeen Education Investment Limited and Ing. Raied Ebaid to formally and unconditionally withdraw the unfounded accusations levelled against him, also demanding a written apology. He further informed both parties that he was holding them responsible for damages. Lawyer Michael Tanti-Dougall signed the judicial protest.